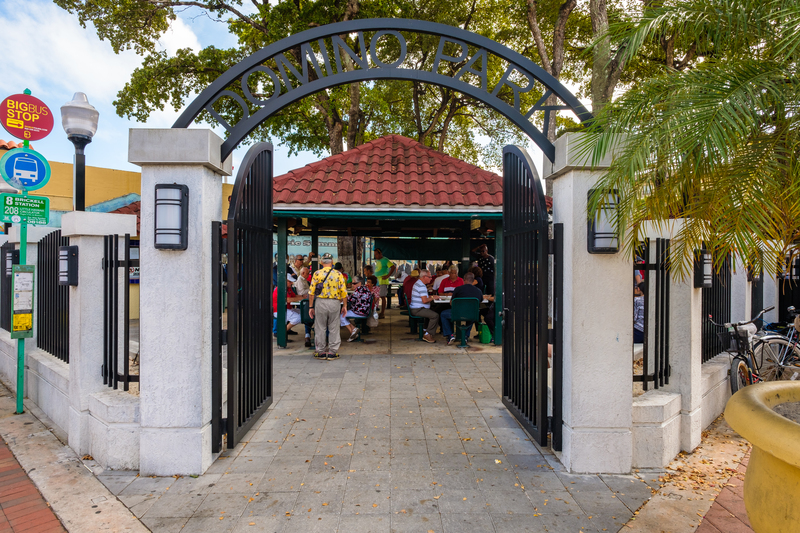 Little Havana is a beautiful, culturally infused neighborhood in Miami that is home to many Cuban exiles, as well as many immigrants from Central and South America. It is named after Havana, the capital and largest city in Cuba. The neighborhood is inviting and welcoming, characterized by its friendly street life with restaurants, boutiques, mom and pop shops, amazing cafecito, and endless activities. The people are warm-hearted, passionate and caring individuals. 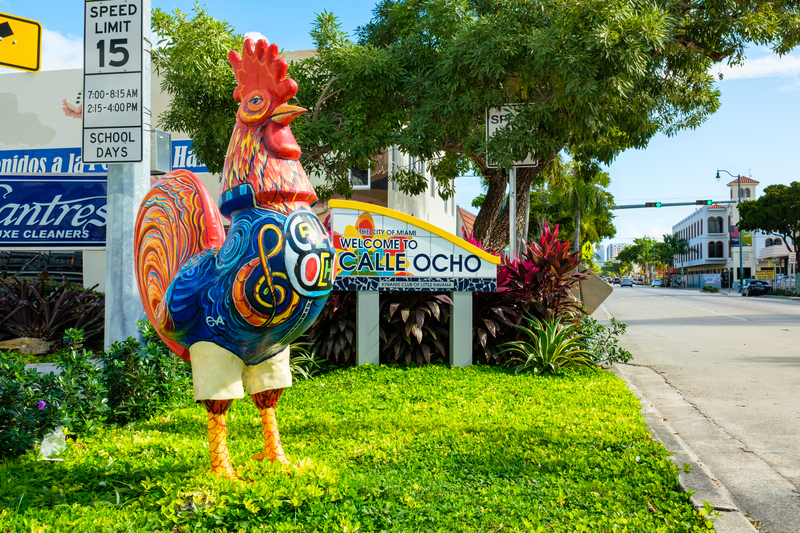 Festivals such as the Calle Ocho Festival, Viernes Culturales/Cultural Fridays, the Three Kings Parade and many more are popular events throughout the year. 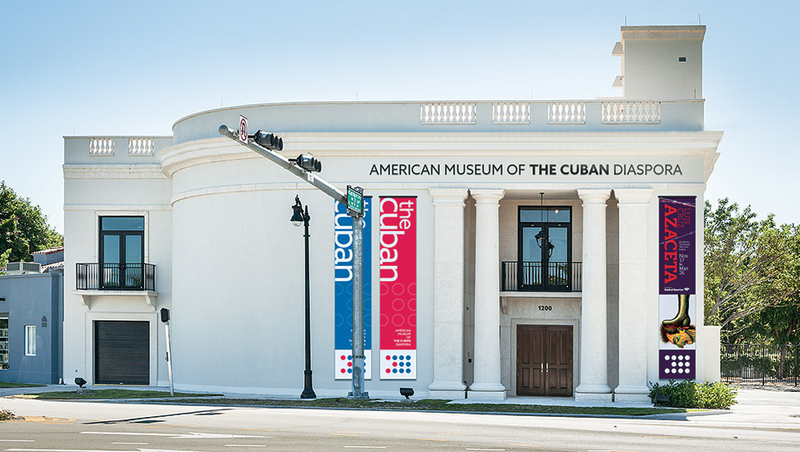 There are many iconic landmarks, including Calle Ocho (SW 8th Street/Tamiami Trail), and its Walk of Fame (for famous artists and Latin personalities, including Celia Cruz, Willy Chirino, and Gloria Estefan), the Cuban Memorial Boulevard, Plaza de la Cubanidad, Domino Park, the Tower Theater, Jose Marti Park, the Firestone/Walgreens Building, St. John Bosco Catholic Church, Municipio de Santiago de Cuba and others. 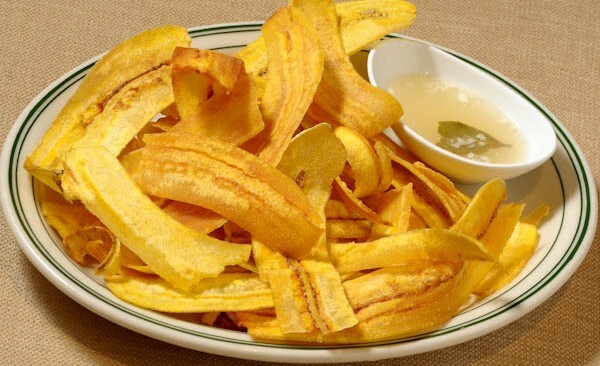 Little Havana has some amazing restaurants to try with the best Cuban cuisine in town. 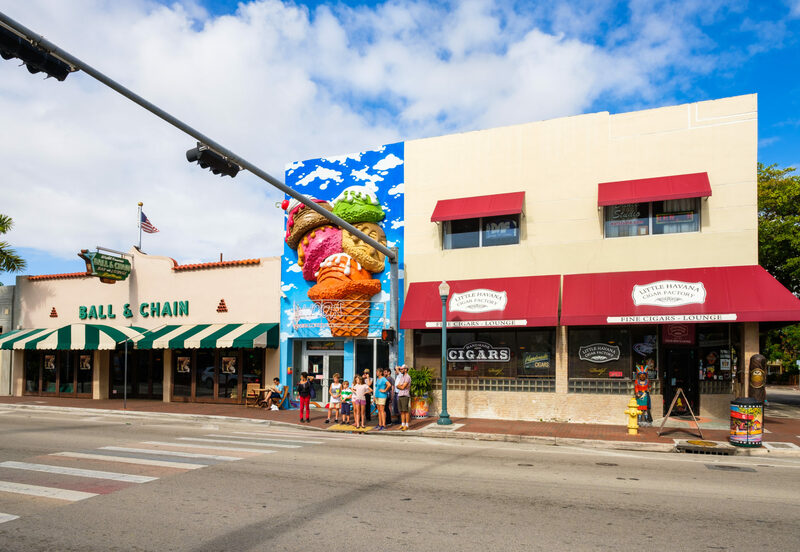 Be sure to stop by Azucar Ice Cream Company which is known as an artisanal ice cream and sorbet boutique. 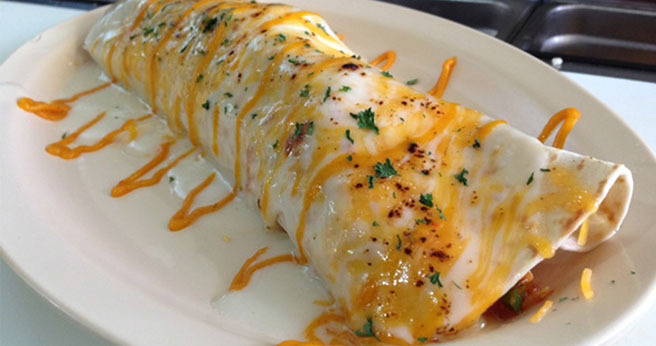 The flavors are continuously changing with flavors such as flan, passion fruit and mamey. If you’re in Little Havana and you enjoy a nice cigar it’s worth a stop by the Cigar Factory. Known as “the hotel of heartening heritage,” the Jefferson Hotel was built in 1920 and is a true depiction of the historical culture within this area. This glamorous, state-of-the-art hotel has undergone a reinvention blending vintage elements with a soft unique tone of retro-luxe postmodern facilities. Grab your dance partner and learn the art of Tango dancing at DAF Studio. The TangOcho is about more than just feeling the music. It’s a social event for South Floridians where friends, dance partners, old and new lovers come together to share their creative expression. 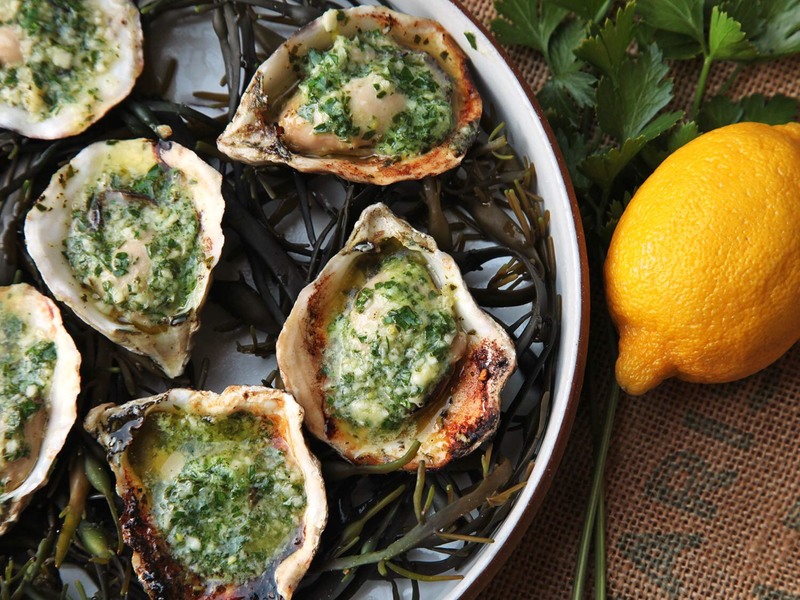 Grab a famous jam session cocktail or a tasty mojito at Ball & Chain while listening to live bands and watching elaborate performances. Watch a movie at one of Miami’s oldest cultural landmarks, the Tower Theater. The theater opened in 1926 and in 2011, USA Today declared the Tower Theater “one of the 10 great places to see a movie in splendor” in the newspaper’s round-up of the best old-fashioned movie palaces in America. 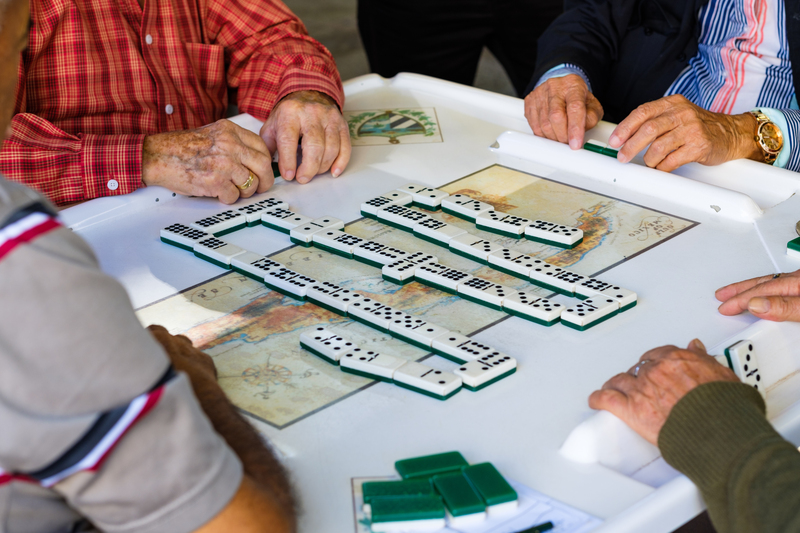 Any day you take a walk through Domino Park and you will find real Havana locals playing a serious game of dominos. The surroundings are calm as everyone focuses on their game. You can either join a game or watch.